Here's what indicator trading is, and how to use it. Technical traders make trading decisions based on their price charts. Each technical trader is a bit different, but the strategies they use can be grouped into a few broad categories. Mainly there are indicator traders, price action traders, and traders who use indicators and price action. Other types of strategy categories include statistical, order flow and seasonality traders. Many traders, especially new traders, gravitate toward indicator based trading because they believe a perfect concoction of indicators allows them to predict what the market will do and where it will go with precision. That isn't necessarily the case, but indicators can help spot certain market tendencies...if you learn to use them effectively. An indicator manipulates price data using a mathematical formula. The indicator shows a visual representation of the mathematical formula and price inputs. To a skilled chart reader or trader an indicator often won't reveal more than what is visible just by analyzing the price chart (or volume) without any indicators. Since there is so much to be analyzed on a price chart an indicator helps simplify it. This is why indicators are so alluring to new traders. Instead of learning how to identify a trend on the price chart, they try to find an indicator that will determine the trend and trend reversals for them. Indicator-based trading is relying on indicators to analyze the price and provide trade signals. Many indicators provide a specific trade signal which alerts the trade that now is the time to take a trade. There are thousands of indicators, and new ones are being created all the time. By combining indicators and using indicators in different ways, there are countless trading methods involving indicators. There are a few common types of indicator strategies though. One of the main ones is a crossover strategy. This is when either price or an indicator crosses path with another indicator. Price crossing a moving average is one of the most straightforward indicator strategies. An alternative version of the price-crossover strategy is when a shorter-term moving average crosses a longer-term moving average (also see, Four Trending Indicators to Replace the Moving Average). This is called a moving average crossover. Crossovers occur in many indicators. For example, the MACD provides crossover signals when the MACD line crosses the signal line, or when the MACD or signal line cross above or below zero. Other crossover type signals include an RSI moving above 70 or 80 and then back below, indicating the overbought condition may be proceeding with a pullback. Similarly, a drop below 20 or 30, followed by a rally back above 20 or 30, indicates the oversold condition could be relieved by a rally. Many indicators also act as a confirmation tool. 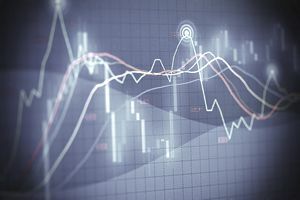 If a trader sees an uptrend on the price chart, indicators such as the RSI, MACD or moving averages (as well as many other indicators) help assess the strength of that uptrend. Such indicators also aid in confirming reversals and downtrends. These are just examples of strategies and not recommendations. Each trader must find indicators that work for them and produce a profit. Many strategies do not produce a profit, even though they are popular and well known. The main drawback of indicators is that while they appear easy to use on the surface, most traders have no idea what is going on "under the hood" of the indicator. Therefore, they don't know when the indicator will provide good signals and bad signals. Every indicator has a vulnerability; something that makes it likely to provide trade signals at the wrong time, or not provide a trade signal at the right time. If you use an indicator, study the math underneath it. That way you can work out the vulnerabilities. Also, don't just look at the times the indicator told you do something and you won or lost, also look at times the indicator failed to warn you about getting into a trade or getting out of one. Another drawback of indicators is that typically they're just showing what is happening on the price chart, but in a different visual way. Price action traders feel indicators are redundant, and not required, because they can only provide information that price (and volume) charts are providing anyway. Since indicators are calculated based on price (or volume, or both), they tend to lag behind what the price is doing. The main benefit of indicators is that they simplify price moves. New traders may find the simple movements of an indicator easier to interpret than the complex gyrations of the price chart. Note that "easier" in this case doesn't mean more profitable. Indicators are an excellent tool for learning how to spot weakness or strength in the price though, such when a trend is weakening. For the new trader, this may be difficult to assess on a price chart, but with the aid of some indicators, they are made aware of subtle changes they have not yet trained themselves to see on the price chart. Many people view indicator based trading as easier than price action trading, because indicators appear simple. Easier doesn't mean more profitable though. Understand any indicator you use, and what its strengths and weaknesses are. For new traders, indicators help spot opportunities (to get in or out of a trade) which may not be visible to them on the price chart. For the most part, many indicators only tell you what the price chart is telling you. Therefore, use indicators if needed, but if they aren't actually increasing your profit at all, then question why you are using them.